The trolleybus no. 12I of the Czech type ŠKODA 8 Tr6 was sold as caravan for building sites and ca. 1982 scrapped. This photo show the trolleybus no. 12I of the Czech type ŠKODA 8 Tr6. 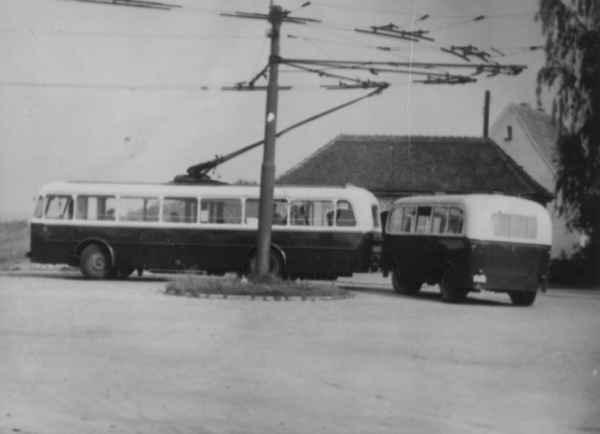 This photo show the trolleybus no. 12I of the Czech type ŠKODA 8 Tr6 with a trailer of the German type Lindner in the turnaround loop of the final stop Ostend. The articulated trolleybus no. 012 of the Hungarian type Ikarus 280.93 was the last day in use on 06 July 1993 and was scrapped on 08 November 1995. 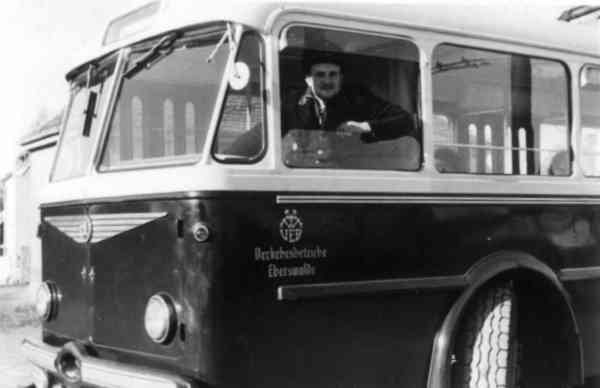 The foto show the articulated trolleybus no. 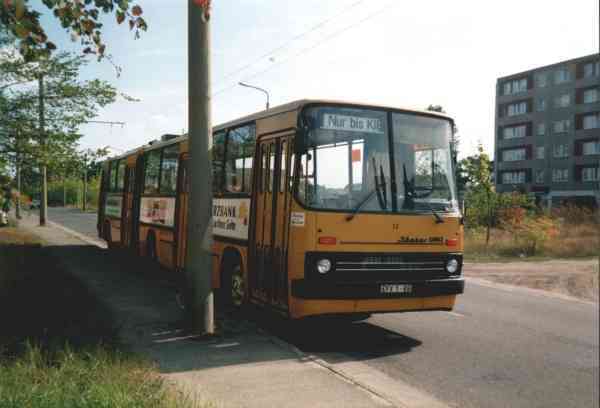 012 of the Hungarian type Ikarus 280.93 at the Neue Straße shortly before the branch to the depot Eberswalde/Nordend.